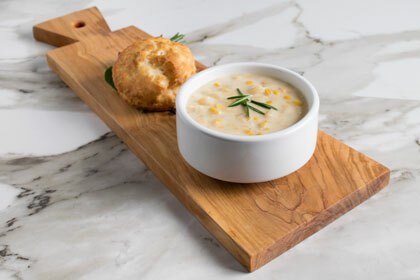 Corn ChowderMake money with our recipes! See how our recipes can help you save money based on serving sizes. We've got all the ingredients you need. Premium cream style corn will bring rich, summer-sweet flavor to your customer's plate with the convenience of canned vegetables. Each #10 can is packed with corn picked at peak ripeness and graded for optimal freshness. This corn has a smooth and satisfying creamy consistency. Whether cooking or simply heating up, these vegetables save valuable prep time and make for a colorful, healthy addition to a variety of flavorful dishes! Known for its sweet, yet mild taste, cream style sweet corn is perfect for making traditional creamed corn casseroles and sweet corn breads. Offer this corn by itself as a classic side dish or pair with hearty favorites like biscuits and dumplings on your home-style menu. Use its classic recipe to enhance catering menus and buffets, or try baking the cream style corn with spices for new flavor variations. 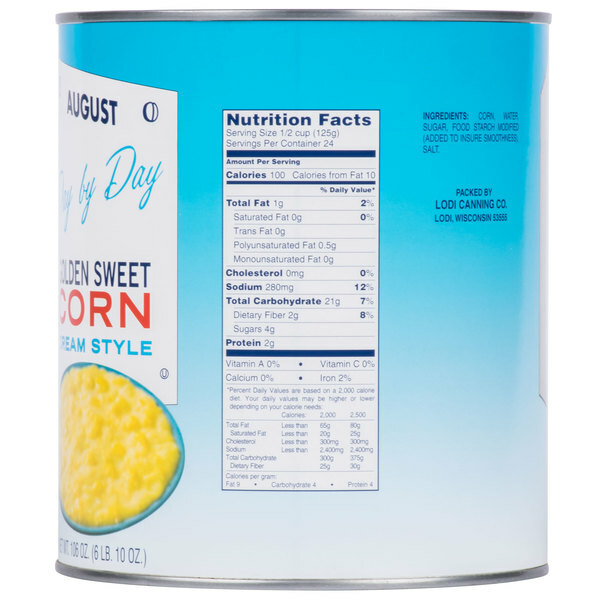 This canned cream style sweet corn maintains its delicious, savory flavor while offering a comforting, homemade taste your customers know and love! 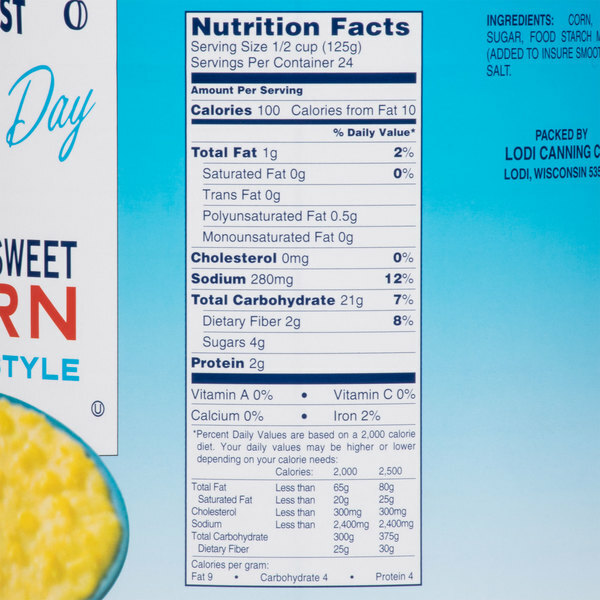 The cream style golden sweet corn is delicious and very well manufactured. The corn has a terrific texture and we love the quality. A nice purchase. A sweet and delicious brand of canned sweet corn that will be a hit at your next gathering. The corn has a great texture and is very delightful. So much easier than trying to start from scratch. A great find. This Cream Style Sweet Corn is a good product. We use it in our home-made corn bread and it compares very well to the other products out there. Creamed corn is good as a side dish and in soups. It is another popular dish of the American south and eaten with corn bread and various greens. This is a very nice cream style corn. We use this primarily in our corn chowder and love the flavor. I have used some in my stews and soups also. It is so flavorful you want to watch how much you use in these dishes as the corn can "stand out" too much if you overdo it. Great tasting and high quality product, I've been looking for a simpler more cost effective way to make Cuban tamales and when I tasted this product I couldn't believe it was so good for the price. This is a superior corn and no lesser grade corn was used to produce the creamed corn, great flavor and texture too. 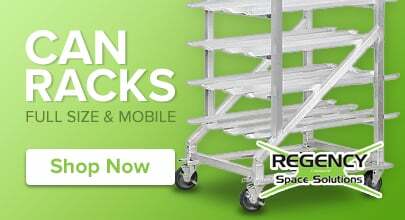 you cant go wrong at all for the price, give it a try and make everything from tamales to corn pudding. This cream style corn is a great value for a good name brand and the taste is wonderful as is or for making corn chowders. 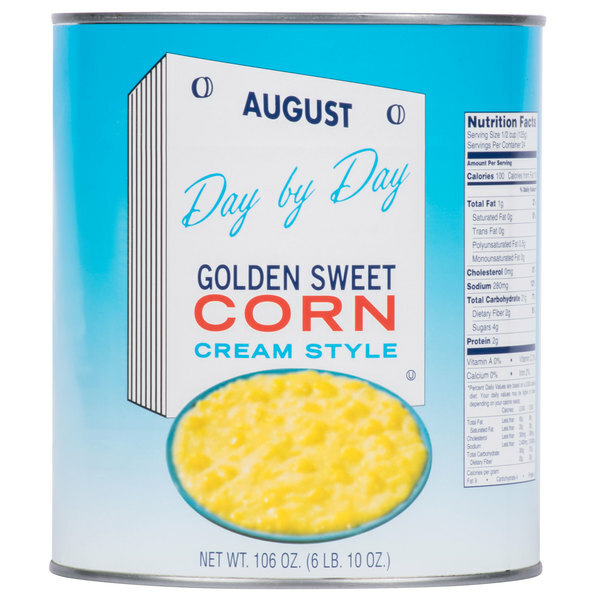 this is great cream style golden sweet corn - we love the tast from the product. you can make defrent things with it. comes. good buy. 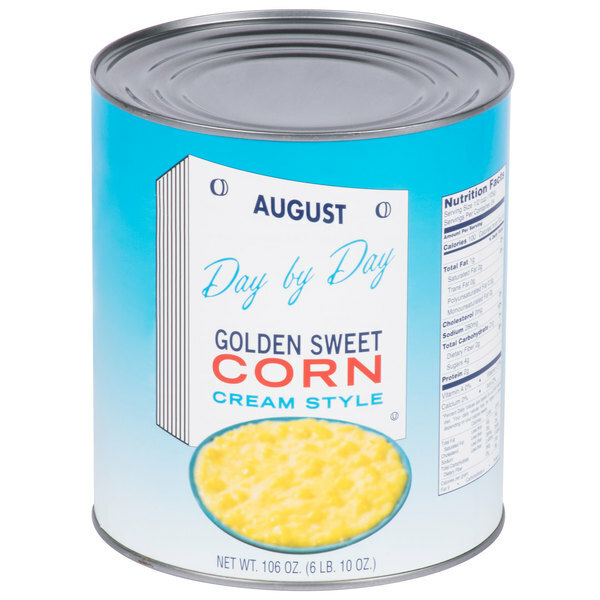 I love this canned cream corn! It is great for making corn chowders! I like the taste from this product! Great substitute for fresh corn!! !